I am so excited that I made a card for 3 different challenges!! 2 is not uncommon for me, but I actually pulled of 3 this time. I love when that happens!! Are you enjoying the Olympics as much as I am. The only hard part is staying up till 12 every night. Good thing for summer break. Those of you that are still working must be really tired! Okay, onto the reason you stopped by! Lots of colors going on in this card, but I think overall it works pretty well! I had to sneak in the craft color I almost forgot it! All the accents and leaves are made with my cricut! Flourishes… is having a Birthday Celebration. You have plenty of time to join in the fun! 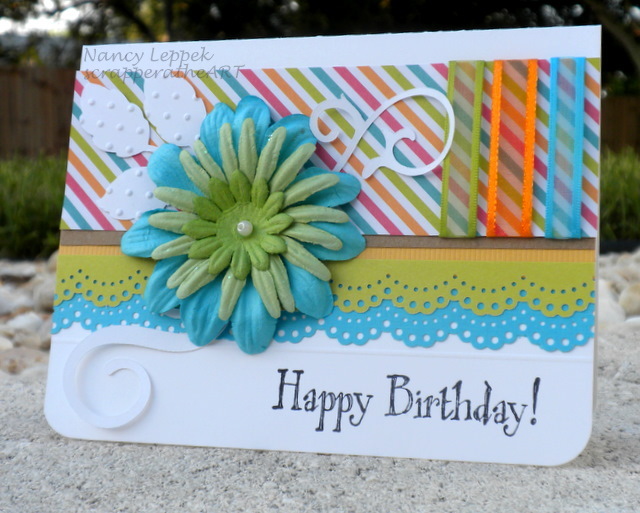 Categories: cardmaking, Cards | Tags: Card making, Cards, color challenge, Cricut, flourishes, Happy Birthday, ribbon, rubber stamps, Stamp TV, stamping | Permalink. This is such a bright and happy card! 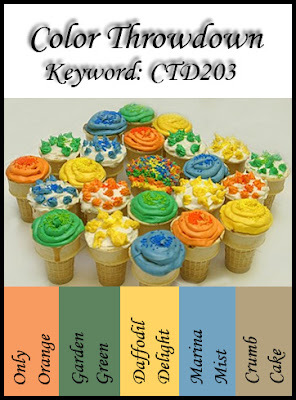 Thanks so much for playing along in the Color Throwdown with us! Cheerful and fun birthday card, great job. 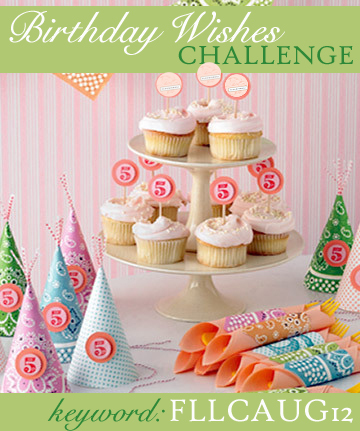 Thanks for playing in Flourishes Birthday Celebration challenge! Ooooh, how pretty…love the papers you used and the details are amazing!!! Thanks for joining us for the Color Throwdown!! !